Our first charity block is the familiar Log Cabin. We are using the modern colors of aqua/turquoise or corals, from light to dark, shades of one color in a block. Both colors are not in the same block. The basic Log Cabin quilt block construction method is the same. The exception is that each round of 4 strips will be of the same color. 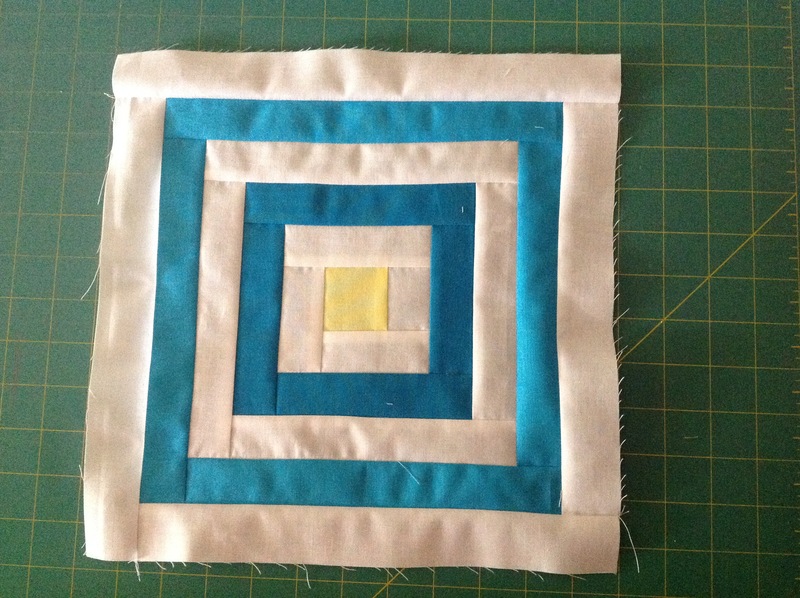 The block should finish at 12inches.Please use quilt shop quality cotton. Kona Highlight–cut a 2 inch square for the center. A charm square of this color will be given to each VMQG member at the April 25 meeting! Begin the block with the 1st round white, 2nd round color, 3rd round white, 4th round color, ending with white for the 5th round.